UNBELIEVABLE Bird Watching in Singayta | ¡VidaMaz! After Christmas this year we decided to head south of Mazatlán a few hours by car, to check out an area we had yet to visit — the small coastal towns of Nayarit, south of Teacapán and north of Puerto Vallarta. One of the highlights of the trip was a tour by lancha or small boat to Singayta, a bird sanctuary that is home to over 350 species. We were told that 80% of the migratory birds of the Pacific coast visit this area. We are spoiled by the daily opportunity to see loads of water birds right here in Mazatlán, so we wondered whether it would be worth waking up at 6:30 in the morning on our holiday. It was. 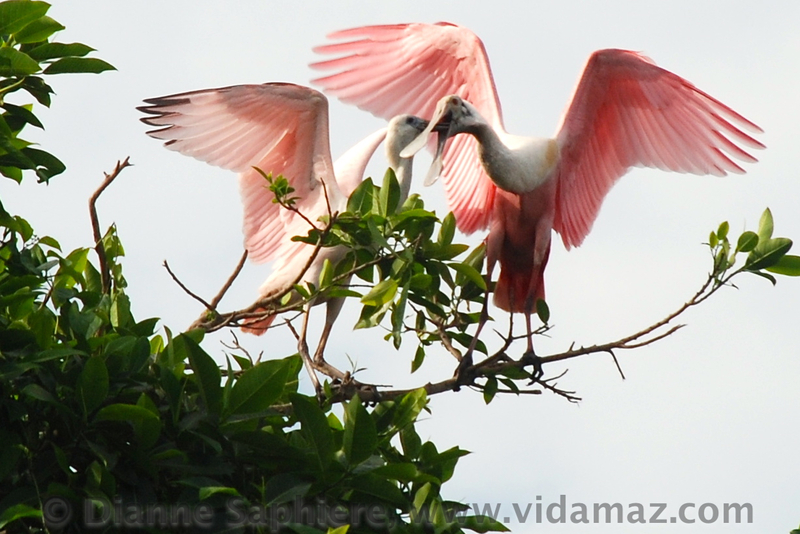 Our guide told us that the roseate spoonbills were nesting, and that we would have opportunity to see their nests and their babies. That’s what convinced us to take the trip. And we did see many, many roseate spoonbills. We especially enjoyed watching those spoonbills feed their young (slideshow above). The babies were larger than we expected, already a couple of months old, though many of them hadn’t yet gotten their pink color. Our guide said the height of the spoonbill nesting season is October through December. As we boated up the river we saw so many birds of so many types. Our guide told us what all of them were, but I am no birder and it was hard to keep track. We saw eagles, storks, cranes, ibises, herons, nightjars, rails, egrets, cormorants, northern potoos and Jesus birds, among many others. Our guide was keen to make sure we saw the variety of eagles that we encountered. I suppose it was much easier for us to notice the larger birds, so was glad he pointed out so much. The area is gorgeous — full of mangrove swamps, estuaries, rivers and other wetlands, along the lines of Agua Verde or Teacapán, much as Mazatlán used to be. We saw a great variety of trees, flowers, lilies and other plant life. As we approached the actual bird sanctuary, we were amazed at what we saw in the distance. Floating islands of green that were COMPLETELY FILLED with large nests and more birds than I’ve ever seen in my life! We felt like we were in a Hitchcock movie! I can also assure you that the smell won’t be bottled for perfume anytime soon! As we approached the nesting area our guide cut the motor and paddled us closer. In the slideshow above you can see some of the mature birds as well as their young, and you can get an idea just how many nests each little floating island contained. What a pleasure! Many of the parents were busy feeding their kids, as you can see, and many of the young birds are a different color than their parents (I assume they grow into their colors). We also saw a lot of turtles and cayman. Many of the cayman were out sunning, and several of them seemed to want to pose for my camera. Singayta is a 90 minute boat ride north of San Blas, Nayarit. San Blas is three and a half hours south of Mazatlán, just this side of Tepic on the coast. We took the lancha that leaves from the far side of the river from San Blas — over the bridge from town. The boat and driver/guide cost us 700 pesos, and we could have taken eight passengers for that price. Our guide was very knowledgable about the birds as well as the flora and fauna of the area, as well as very attentive to our needs and desires. The area can alternatively be reached overland via driving and hiking. We definitely encourage you to make the trip! Not a far drive at all from Mazatlán, and this would make for a terrific overnight or weekend. thanks for sharing, Dianne!!! it’s now on our list!!! I hope you’ll make it soon, Cathy. It was incredible. Increíble! I am forwarding to a friend who is a birder. Gracias ! Gracias a tí, Imelda. I hope your friend will share with me some of the bird names, as I sure enjoy them but am definitely not a birder. Up on the hill overlooking the bay, nice pool, wireless internet, roomy suites. So happy you enjoyed them. It was thrilling to have such great subjects, so that the amateur photographer almost looked like she knew what she was doing, lol! 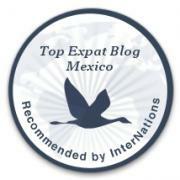 Pingback: Jungle Tour of a Mangrove Swamp, right here in Mazatlán | ¡VidaMaz!